Vehicles that are prone to cause air pollution will be banned from running on Seoul roads when emergency fine dust reduction measures are implemented. The Seoul Metropolitan Government said a related ordinance will be implemented on Friday. 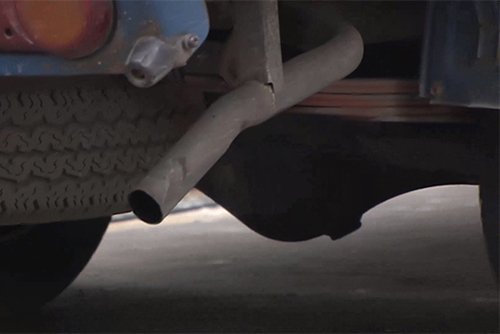 Under the measure, vehicles given the lowest fifth grade in emission records will be fined 100-thousand won if they are spotted running in Seoul between 6 a.m. and 9 p.m. the day after an emergency fine dust reduction measure is imposed. Vehicles equipped with an emission reduction device or those for the disabled and registered as special public purpose vehicles will be given a waiver.